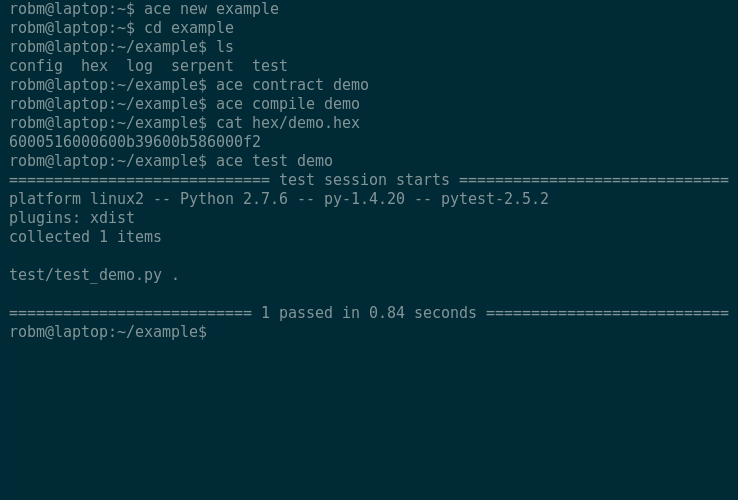 ace is a command-line development environment for Ethereum contracts. It’s designed to simplify writing and testing contracts. The initial (alpha!) version supports Serpent contracts and local testing using pyethereum.